We invest in people. THE APPLIED GROUP focuses upon driving growth of portfolio companies through experienced management. The cornerstone of any venture is the stability, experience, and creativity of its leadership. THE APPLIED GROUP's goal is to invest in new or existing management, and identify creative growth strategies and new opportunities for portfolio companies. 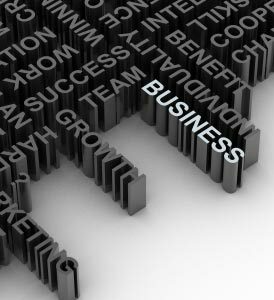 We help our partner companies reach the next level in business success. THE APPLIED GROUP is continually seeking experienced business leaders and entrepreneurs to lead acquired businesses. THE APPLIED GROUP provides its management partners the opportunity to own and operate their own enterprise, while providing experienced support, expertise and economies of The APPLIED GROUP's core team. THE APPLIED GROUP seeks to collaboratively work with management to guide partner companies to facilitate growth. THE APPLIED GROUP provides leadership, financial support, and strategic planning to its partner companies. Through this process, current operations are assessed and future product and service development and new market opportunities are identified and explored. Portfolio companies then focus on the growth of their businesses and on creating long-term shareholder value through execution of their strategic plans. A key component of THE APPLIED GROUP's business model is to build a collaborative network of business leaders. THE APPLIED GROUP offers (i) an investment opportunity; and (ii) combined ownership and operations opportunities, for business leaders looking for a new venture.